I was looking for a good price and someone that could help me out in a timely matter. I made one call and that’s all I needed. He came the next afternoon at the time they said he would be there. I will call them again if I have anymore problems. Thanks, your tech was the best. I now have a garage door company that I'm highly satisfied with and trust! I had the bottom seal replaced on my garage door and a tune up. The service I received from Ryan was professional and educational. He thoroughly explained every step of the repair and I will definitely use Precision Door for all of my garage door needs! Thank you for choosing us and sharing your experience. 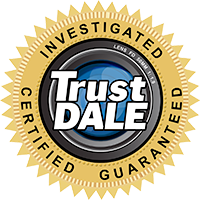 Michael is a professional and we are happy you were pleased with his service and expertise. I had called Chamberlain to find out if there was someone who could service my opener and they gave me the number to you guys. Wonderful service. Very pleased with my new Liftmaster. My old system had become very finicky. Greatful to have a reliable new system. Big headache lifted. Thank you. Glad to hear you are pleased with the new opener! Thanks for choosing Precision! I've used these guys twice - once for a couple of springs and recently for a new opener. Everyone at the company is polite and easy to work with - they offer very timely service - they can be quite flexible if needed - they are honest and straight-up with you - offering options and explaining each very well. I highly recommend them ! Thank you for your return business and for the recommendation! Dave was super! Polite, knowledgeable, and explained everything about the repairs he had to make. Great fast service! I called this morning and the job was completed by 1pm. Josh the service technician was on time and professional. The price was fare and he explained all of the options available. He also serviced the existing opener and tract. We are definitely pleased with the work. Very good! Thank you for choosing Precision and for taking time to post your review! Precision did an amazing job for me. Ryan came out and looked at an old garage door opener with no controls and a weak, wobbly drywall mounting. He quoted me the price for installing controls and remounting to studs, as well as the price for a new garage door opener. The new opener wasn't a lot more than the controls and remounting the old opener, and since the existing opener was 17 years old, I decide to replace it. Ryan carefully answered all of my questions and explained everything I needed to know. I chose a new GDO model, and Ryan took down the old opener, installed and tested the new one, and installed all controls, including running wires for the wall control. Ryan took the time to show me how to program the controls, how the emergency safety features work, and how to disconnect the garage door and operate it manually (in the event of a failure of either the opener or the lifting springs). I am very pleased with the results and plan to hire Precision again when it's time to replace the lifting springs (which, hopefully, won't be too soon). Thank you, Sean, for taking time to post this detailed review! We hope you don't need the lifting springs for a while as well. Enjoy the new opener! Excellent service both on the repair and before on the installation! Highly recommend this company. Great job ... great price ... pleasant technician ! Installer was very good. Great job. Outstanding !!! Everything from scheduling to finished work is simply unbeatable. Professional, fast, courteous, knowledgeable. Go ahead and waste your money somewhere else, but you will regret it. Thank you Precision for everything. Excellent service. Our technician called and said he could come earlier than expected and everything worked out great. Very pleased with his professionalism and courtesy. 5 star rating. Options and prices for repairs and products clearly explained. Alan the technician was courteous and competent. Spring repair and new opener installation were good quality and efficient. Highly recommended. Phillip presented himself and performed the work professionally. We were very impressed with your technician, Travis. He worked late and through several obstacles to get the job completed. Would definetly recommend him and your company. Was very pleased! Called in - got a live person, was able to schedule and get installed on the same day. Cecil replaced garage door opener - was very pleasant and did a great job. He was very knowledgeable and very helpfu. I was very impressed with the website also. Overall - I was very Satisfied ! I was totally impressed with Precision Door Service. The technician who came out, Travis Plemmons, listened to my description of symptoms, watched the door go through an up-and-down cycle and then without touching anything, had me release the emergency latch and try to lift the door. I would have gotten it up but my wife wouldn’t have had a chance if we had a power outage or if the opener had failed. Chase did an excellent job. Great knowledge and informed me through the whole process. The job exceeded my expectations! So pleased with the service I received from time I called until the work was completed! I will recommend this company to my friends. Excellent Job!!! Thank you Ryan. Ed was wonderful!! He explained everything so I was able to easily understand and went over all the options available. No pressure about making a purchase. I was well informed. Job was done quickly and to a very high quality standard. Thank you!! Keep up the wonderful work!! Same day response. Repairs made. Repairman discussed what the problem was and how to be corrected. Estimate given for repairs vs. replacement. If repairs can be pleasant, this one was. Chase was very professional and knowledgeable. He paid attention to small details. We are very satisfied with his work. Your organization was recommended & I am very happy; it was incredible service & knowledge, thank you so much. Excellent work, very knowledgeable and gave good maintenance advice.